Every tourist town in the country likes to boast that it has wonderful weather, but even the meteorologists at the CSIRO agree Port Macquarie has the best climate in Australia – not too hot in summer and not too cold in winter and plenty of sunshine all year round. Goldilocks would feel right at home. There are 10 beaches close to town, so you can take your pick, but when it comes to seaside strolls the nine-kilometre coastal walk between Lighthouse Beach and the Town Green along five beaches linked by timber walkways over the headlands is hard to beat. Port Macquarie began life as a convict settlement back in 1821, a place where the "worst of the worst" convicts were sent as punishment. There are a number of convict-era sites around town, as well as the historic cemetery, where 1500 soldiers, convicts and pioneers were buried. Explore the town's history and learn the fact-is-stranger-than-fiction stories behind the buildings and graves on one of two walking tours (Wed-Sat; pmheritage.com.au) or an after dark ghost tour with Port by Night Tours (December through to Easter only, call 0412 217 060). Salute the sun in a one-hour beach yoga class in the park beside Town Beach. Classes are held on Saturday and Sunday mornings between October and the end of March, daily during summer school holidays. See theyogashala.com.au. No visit to Port (if you want to sound like a local, drop the "Macquarie") is complete without a wander along the breakwall along the mouth of the Hastings River from the Town Green to Town Beach, admiring the "rock art" left by hundreds of holidaymakers past and present along the way. It's a great spot for kids to ride a bike, see dolphins, cast a fishing line or simply admire the sunset with an ice-cream in hand. On the Town Green with prime waterfront views, the Beach House Hotel is the best spot in town for a sunset drink. On weekends there's often live music in the riverside beer garden, and the menu features American-style family-friendly dishes such as fish tacos, Cajun po' boy and Philly cheese steak sandwiches as well as burgers, steak, fish and chips. See thebeachhouse.net.au. 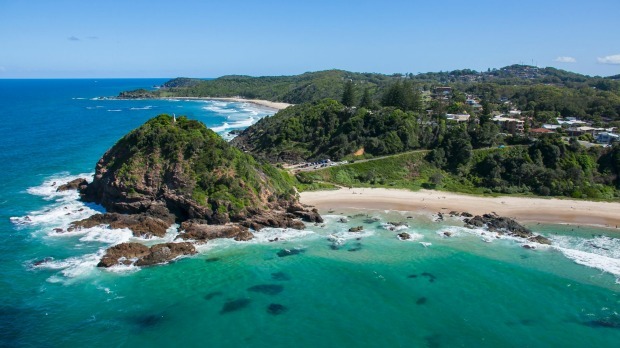 There's no better place to grab your boogie board and hit the surf, because Port Macquarie is the official capital of bodyboarding in Australia. It was the dying wish of John Eppelstun, a local bodyboarding pioneer who died of cancer in 2008, that his home town be recognised as the bodyboarding capital of Australia and so it is – you'll find a boogie board statue commemorating the honour on the breakwall at Town Beach. It's not a real seaside holiday without at least one feed of fish and chips by the sea, and the Town Green is the perfect spot. Grab a takeaway from one of several fish and chip shops clustered down the river-end of town – try Mikes Seafoods (13 Hay Street), Off the Hook (5/2 Horton Street) or Macquarie Seafoods (68 Clarence Street) – and find yourself a shady table with a water view. Staffed by an army of dedicated volunteers, the Port Macquarie Koala Hospital – the only one in the state – cares for up to 250 sick and injured koalas each year. Visiting hours are 8am-4.30pm, but best time to go is at 3pm, when you can join a free "walk & talk" tour, watch the koalas being fed and find out the all about the winsome patients and how they got there. The hard part is leaving without adopting one. See koalahospital.org.au. Kids love following this quirky trail of 51 brightly painted giant fibreglass koalas that are dotted all around Port and neighbouring towns. Each koala has been decorated by a local artist and they can be found in all sorts of places, from beaches to street corners, in parks, gardens, restaurants and shops. Download a map from hellokoalas.com. Ricardoes tomatoes have a cult following with locals – they taste the way a tomato should taste – but the drawcard for most visitors to their big farm shed on the north side of the Hastings River is the pick-your-own strawberry farm and the delicious strawberry shortcake and scones with strawberry jam and cream served in the adjoining Cafe Red, where you can also stock up with other local produce. Open daily. See ricardoes.com. Managed by NSW National Parks, Sea Acres Rainforest Centre is the second largest coastal rainforest reserve in NSW, a unique pocket of wilderness surrounded by suburban sprawl. Join a guided tour of the 1.3km wheelchair and pram-friendly boardwalk that winds through the forest. Aboriginal bush tucker tours are also available and the adjoining rainforest cafe is a nice spot for morning tea or a light lunch. 159 Pacific Drive; nationalparks.nsw.gov.au. Sun, sand, surf and wine don't usually go together, but the Hastings Valley has pioneered the Australian production of the red table wine, chambourcin, a French grape that thrives in the humid coastal climate. Follow the wine trail to five local wineries, or if beer is more your style, head to the Black Duck Brewery (6b Acacia Avenue; blackduckbrewery.com.au) or the Little Brewing Company (58 Uralla Road: thelittlebrewingcompany.com.au). Beware, the Wicked Elf packs a punch. Don't be mislead by the name – Port Macquarie's only eatery with a Good Food Guide chefs hat, the Stunned Mullet, is all class. It overlooks Town Beach, but the food is even better than the view. The signature dish is the Patagonian toothfish, but everything on the menu is good, and many of the ingredients are locally grown. The wine list is as long as the sweep of beach outside the window, and make sure you leave room for dessert – the salty creme caramel with spiced rum jelly and black sesame gelato may possibly make you swoon. See thestunnedmullet.com.au. Hold off on the wine tasting until after you've found your way through the largest hedge maze in the state at Bago Vineyard near Wauchope in the Port Macquarie hinterland, or you may find yourself in need of a search and rescue team. Made from lilly pilly rainforest trees, there are more than two kilometres of confusing pathways to navigate; if it all gets too hard climb one of the two lookout towers to plot your escape from above. The vineyard also hosts "Jazz in the Vineyards" on the second Sunday of every month. See bago.com.au. A genuine local growers market everything for sale at this monthly market at Wauchope Showground is grown, cooked or made in the local area, mostly by farmers whose families have been working the land for several generations. Beef, dairy, blueberries, avocados, potatoes and macadamias are the best buys. Fourth Saturday of the month. See wauchopefarmersmarket.com.au. Wauchope was built on wood – local historians claim that more timber, including the prized red cedar, was shipped out of Wauchope since it was established in the 1830s than any other town in Australia. Timbertown, on the western edge of the town centre, is a recreation of a 19th-century timber getting village. There are whip cracking and timber cutting displays, a working bullock team and a saddlery, but the big attraction is the steam railway and trains rides are included in the price of admission. See timbertown.com.au. Locals nicknamed this massive 200-year-old red bloodwood tree – the largest in the southern hemisphere – "Old Bottlebutt" on account of its unusually bulbous base (16 metres around) years ago and the name has stuck. It's in Burrawan State Forest, off the Bago Road roughly halfway between the Pacific Highway and Wauchope, at the end of a 600-metre walk. It's a great spot for a picnic on a hot day. The forested hills of the hinterland have always been a haven for hippies and greenies, and there are several old growth reserves hidden away that even half the locals don't know about. Boorgana Nature Reserve, about 6km from Comboyne (a half-hour drive south-west of Wauchope) was established in 1904, and is the second oldest nature reserve in the state. Full of old growth cedar and sub-tropical rainforest it's a reminder of what the landscape must have been like before the timber getters and dairy farmers moved in. It's a steep 5km track from the top down to Rawson Falls, but worth it for the chance to swim beneath the 40-metre-high waterfall without another soul in sight (usually). It's officially called Dooragan, but most locals still call it North Brother, one of three in a string of mountains named by Captain Cook (the other two are Middle and South Brother: guess Cook wasn't feeling particularly inspired that day!). It's a bit of a narrow winding drive up to the top, but the views over the Camden Haven waterways and the western hinterland are superb. The turn off is at Laurieton, 30 kilometres south of Port: take the scenic coastal route via Ocean Drive rather than the Pacific Highway. Lee Atkinson travelled at her own expense (she lives at Port).